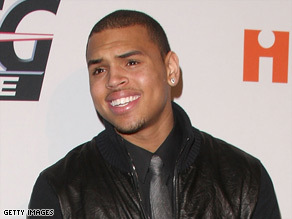 LOS ANGELES, California (CNN) -- The Los Angeles District Attorney's Office asked police to do more investigative work before a decision is made on whether charges will be filed in the domestic violence case against singer Chris Brown, according to a spokeswoman for the DA. The LAPD's chief investigator in case, Detective Deshon Andrews, told CNN he hand-carried his findings to the district attorney Tuesday afternoon. Prosecutors looked at the files and then asked Andrews for "an additional investigation," DA spokeswoman Jane Robinson said. Police have refused media requests to hear the 911 call that led to their investigation early Sunday, but Andrews said it mostly recorded the sound of "a screaming woman." Brown, 19, turned himself in Sunday night after police said they were looking for him. He was arrested on suspicion of making criminal threats. Brown was later released on a $50,000 bond. He is expected to appear in court on March 5. Police said Brown and a woman were in a vehicle near Hollywood's Hancock Park early Sunday when they became involved in an argument. The woman "suffered visible injuries and identified Brown as her attacker," police said. Police did not identify the woman, but sources close to the couple told CNN the alleged victim was his girlfriend, singer Rihanna, 20. Brown's lawyer has not responded to several requests for comment. CNN's Jennifer Wolfe and Ninette Sosa contributed to this report.